Subroto Roy remembers Gopi with respect and affection. We met first at his IMF office in Nov 1992 when I had been briefly at the World Bank; hearing of my 1990-91 encounter with Rajiv Gandhi which sparked the 1991 economic reform, he immediately insisted I come to the Fund and it was due to him I became a consultant there in early 1993 (working on exports and exchange-rates of India, Pakistan, Sri Lanka, Bangladesh seen together for the first time as requested for by the Saudi Exec Dir M Al-Jasser). I had phoned him from Bombay when I arrived from the USA in June 1996 and he immediately sent out three names and contacts of senior business figures he wanted me to meet. But I became a Professor instead. When we met again at his Grindlays office in Delhi later that year, he was just as keen to push me forward saying “You should be in the PMO”. But there was uncertainty in Delhi at the time with the new Deve Gowda Government. We last met about October 2003 when he treated me to lunch at the IIC Delhi and we then flew together to Calcutta; he told me then the Finance Ministry had become a complete and total *mess* — it was remembering that today that I decided to write this. I had said to him I could not point to any serious macro economists in Delhi who really comprehended the gravity of the problem; he laid great store by one (unobvious) name but came to be disappointed there too. On September 5 2009, he wrote on my blog “This short piece by Dr Roy on Jinnah is a gem. It puts paid to the theories peddled by all those who have not been introduced to geo-politics”. I was very sorry to hear just two months later that he had died. He embodied a clear-headed and intelligent Nehruvian nationalism which has become vanishingly rare in New Delhi today. “He was my friend, faithful and just to me”. 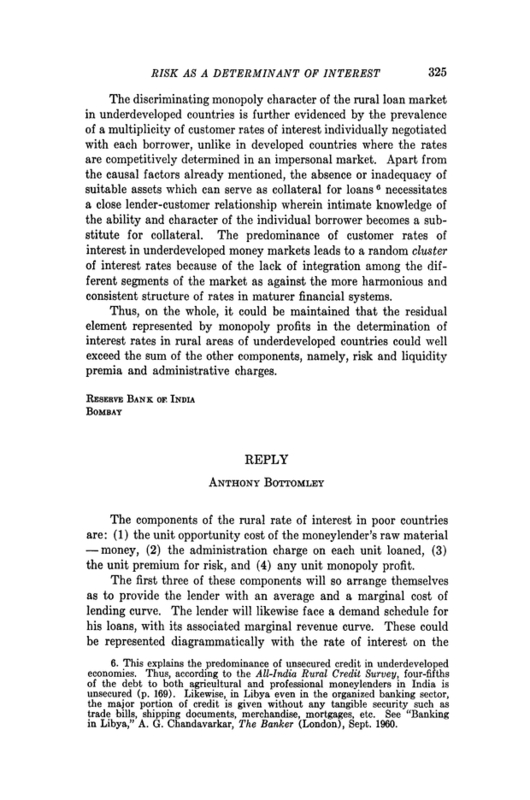 Author’s Note May 2007: Between January 1993 and about May 1993 I was a Consultant to the International Monetary Fund, Washington, DC. The IMF does not usually hire consultants, and I was hired thanks to a recommendation by Gopi Arora to Hubert Neiss. At the request of Saudi IMF Executive Director Mohammad Al-Jasser, I did an interdepartmental comparative study — the only one until that time and perhaps since — of exchange-rates and exports of India, Pakistan, Sri Lanka and Bangladesh. What follows is a part of that relating to exports. 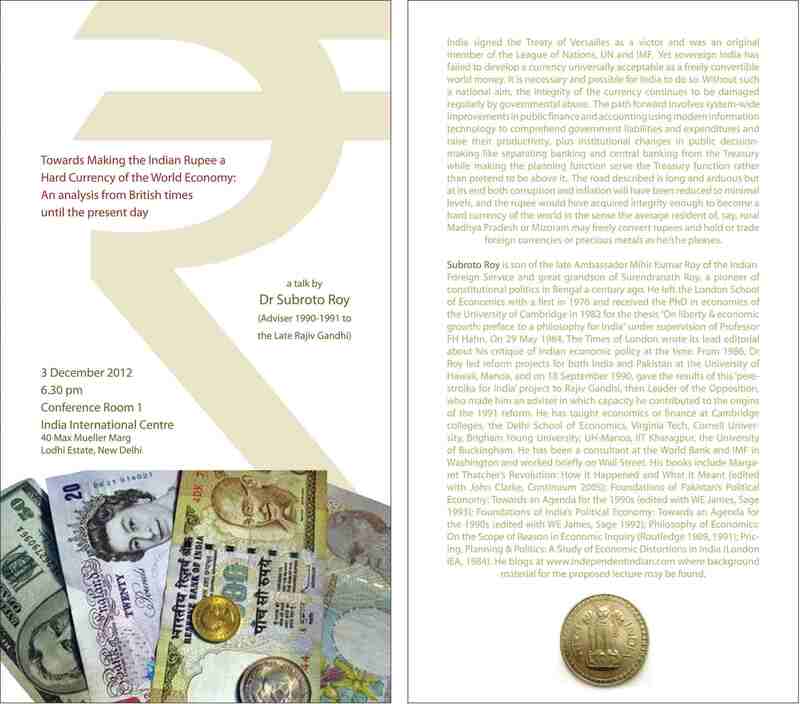 A little of it was published in an ICRIER study in New Delhi the following year, on India-United States trade. This study reports the main results of a study of exports from India, Pakistan, Sri Lanka and Bangladesh to their largest world markets in the period 1962-1991. Panels of two-level Standard International Trade Classification (SITC) data were gathered as reported to the United Nations Statistical Office, Geneva in its Trade Analysis and Reporting System. These gave original data of all imports from India, Pakistan, Sri Lanka and Bangladesh as reported by each of the United States, Britain, Japan, Germany and France (G-5 countries) over the 30-year period 1962-1991 in c.i.f. terms. These countries constitute almost 75 percent of the subcontinent’s total export market, and possibly more if indirect exports via third countries like Hong Kong and Singapore are accounted for. The import-demand data reported by each of these countries provide the most reliable and uniform data source available. To detect any possible trends in real growth or decline, the nominal data reported over this 30 year period were deflated to constant 1990 prices, using price-series obtained from the World Bank’s Quarterly Review of Commodity Markets December 1992. This source provides a manufactured goods unit value index for the G-5 countries, as well as individual price series for petroleum and commodities excluding energy. The latter is divided into foods (divided into beverages, cereals, fats & oils, and other), non-food agricultural, timber, and metals & minerals. It is considered the most reliable price-series data of its kind available. All figures given below are in constant 1990 U. S. dollars. Overall, one firm regionwide fact to emerge about the subcontinent’s exports to the major industrial countries has to do with the enormous real growth of clothing, especially in the decade 1982-1991. Not only has there been remarkable growth in real terms of clothing exports from the entire region, but there has been relatively higher growth in Pakistan compared to India, and higher growth in Sri Lanka and Bangladesh compared to Pakistan. India’s main exports to the United States have changed in product composition over the period 1962-1991, though not in ways predicted or hoped for by national economic plans. Between 1962-1971, the main exports other than textile manufactures (SITC 65) were agricultural: tea, coffee & spices (SITC 07), fruit and vegetables (SITC 05), sugars (SITC 06), fish and preparations (SITC 03), and crude matter(SITC 29). Between 1972-1981, the mix was transformed by growth of exports of polished diamonds (SITC 66) and clothing (SITC 84), which together with textile manufactures have dominated Indian exports to the United States since. Between 1982-1991, the same mix continued to dominate with the significant addition of petroleum and products (SITC 33) which was the single largest export from India to the United States in each year between 1982 and 1985. Textile manufactures were the dominant export until 1978 and have been in the top four throughout the period. But there has been steady decline in real terms. The decline has been from annual averages of $740 million (c.i.f.) in 1962-71, to $406 million in 1972-1981, to $285 million in 1982-1991. India has also steadily lost market-share in total textile imports into the United States, dominating the market with an average annual market-share of 19.5 percent in 1962-1971, reduced to 10.1 percent in 1972-1981, reduced further to 4.84 percent in 1982-1991. Clothing during the same period has shown high real growth, going from an annual average of $7 million in 1962-1971 to $178 million in 1972-1981, to $538 million in 1982-1991. Average annual market-share of total U.S. imports has gone from 0.10 percent in 1962-1971, to 2.11 percent in 1972-1981, to 2.34 percent in 1982-1991. While this has been small growth from the point of view of the United States market, the movement has been large relative to initial conditions from the point of view of Indian exporters. It is not apparent whether the decline in textile manufactures has been independent of the growth of clothing or whether there has been value-increasing substitution from textile manufactures into clothing. Comparative experience with Germany suggests there has not been such substitution. India’s exports to Britain are marked by textile manufactures (SITC 65) and tea, coffee & spices (SITC 07), being among the top five exports throughout the entire period 1962-1991. However, both of these traditional exports have declined in real terms. Annual average imports into Britain of textile manufactures from India were $253 million (c.i.f.) 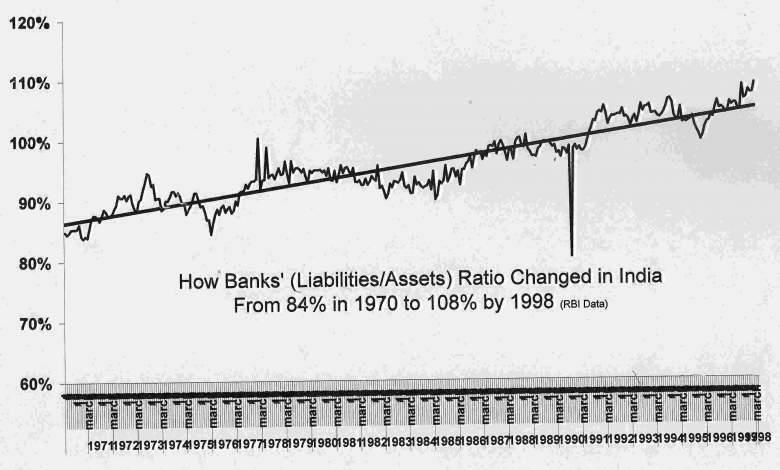 in 1962-1971 down to $179 million in 1972-1981 and $161 million in 1982-1991. India’s share of Britain’s imports of textile manufactures fell from 15.5 percent and 16.0 percent in 1962 and 1963 to 3.4 percent and 4.0 percent in 1990 and 1991. Annual average imports into Britain of tea, coffee & spices from India were $269 million in 1962-1971 down to $87 million in 1972-1981 and $66 million in 1982-1991. Clothing (SITC 84) exports to Britain have shown high real growth, from annual averages of $4 million in 1962-1971 to $86 million in 1972-1981 to $200 million in 1982-1991. Of remaining exports to Britain, in the period 1962-1971 agricultural outputs like animal feed (SITC 08), tobacco (SITC 12) and crude matter (SITC 29) as well as leather goods (SITC 61) were the main product groups. The next period 1972-1981 saw the growth of clothing (SITC 84) to a position of dominance among all Indian exports to Britain, and some growth in non-ferrous metals (SITC 68) mainly copper and aluminium alloys. The latest period 1982-1991 has seen some growth of non-traditional engineering exports to the top ranks, mainly transport equipment (SITC 73), metal manufactures (SITC 69) and non-electrical machinery (SITC 71). Clothing and textiles, however, continued to dominate more than 44 percent of all exports. The main feature of India’s exports to Japan over the entire period 1962-1991 is the dominance of iron ore (SITC 28) throughout. Annual average imports of iron ore into Japan from India were $401 million in 1962-1971, rising to $556 million in 1972-1981, and $572 million in 1982-1991. The period 1962-1971 saw, in addition to iron ore, export of raw cotton and jute fibres (SITC 26), crude agricultural matter (SITC 29), crude fertilizer (SITC 27), animal feed (SITC 08), sugar (SITC 06), ferrous alloys (SITC 67), and fish and preparations (SITC 03). The period 1972-1981 saw very high growth of exports of fish and preparations (SITC 03) and polished diamonds (SITC 66), as well as some growth of textile manufactures (SITC 65). Starting from almost zero, India’s market-share of Japanese imports of fish grew to an annual average of 7.31 percent during the period 1969-1985, before falling back to 2.7 percent in the 1990s. The latest period 1982-1991 has seen the dominance of polished diamonds equalling that of iron ore, as well as significant growth in clothing (SITC 84) and petroleum (SITC 33). The main exports of India to Japan are at present polished diamonds, iron ore, fish, ferrous-alloys and clothing. It seems plausible that India’s pattern of exports to Japan has been related to the high growth transformation of Japan’s economy during this time. As with Japan, India’s exports to the Federal Republic of Germany show unique aspects related in all likelihood to the high growth transformation of the German economy during this period. Remarkably, textile yarn and fabric (SITC 65) from India to Germany has shown large real growth during 1962-1990. German imports of Indian textile manufactures were at an annual average of just $55 million for 1962-1971; this increased to an annual average of $163 million for 1972-1981 and to $255 million for 1982-1990. Although this has not been enough to offset the large declines of Indian textiles in the United States and British markets, it may suggest that rapid domestic growth in one large importing market can reduce the impact of loss of competitiveness in a different market. Clothing (SITC 84) has shown extremely high real growth relative to initial conditions. German imports of clothing from India were at an annual average of under $4 million in 1962-1971, rising to annual averages of $96 million in 1972-1981 and $282 million in 1982-1990. The simultaneous growth of textile manufacture and clothing exports from India to Germany may suggest that there has not been value-adding substitution from the former to the latter. Other than clothing, the product composition of Indian exports to Germany has not seen much drastic change. In 1962-1965, iron ore (SITC 28) was the single largest export only to become abruptly insignificant, possibly implying new sources had been found by importers. Besides textile manufactures, three other traditional exports — leather goods (SITC 61), tea, coffee & spices (SITC 07), and crude matter (SITC 29) — have been among the top Indian exports to Germany throughout the period 1962-1990. Of these, leather goods have shown real growth from annual averages of $34 million in 1962-1971, to $55 million in 1972-1981, to $86 million in 1982-1990. Polished diamonds (SITC 66) also have been a major export to Germany since as early as 1964, with significant growth in the latest period 1982-1990. India’s exports to France show certain similarities with the pattern to Germany on a smaller scale. Textile yarn and fabric (SITC 65) has shown growth in real terms from annual averages of $18 million in 1962-1971, to $51 million in 1972-1981 to $63 million in 1982-1991. (The growth of textile exports to Germany and France together have not offset the declines to the United States and Britain — average annual exports to the four countries totalling $1.07 billion for 1962-1971, $0.80 billion for 1972-1981, and $0.76 billion for 1982-1991.) Clothing exports to France have shown enormous growth relative to initial conditions, moving from annual averages of under $3 million in 1962-1971, to $57 million in 1972-1981 to $108 million in 1982-1991. Besides textile and clothing, Indian exports to France have included leather goods (SITC 61), crude matter (SITC 29), polished diamonds (SITC 66) and animal feed (SITC 07). In 1982 and 1985, France also reported petroleum imports as the single largest product from India. In the period prior to 1972, Pakistan’s exports to traditional markets in the United States and Britain were dominated by raw jute and cotton fibres (SITC 26) and cotton and jute manufactures (SITC 65). Since 1972, cotton manufactures (SITC 65) have shown remarkable real growth, and along with clothing (SITC 84) have dominated Pakistan’s exports to these markets. Annual average imports of cotton manufactures from Pakistan into the United States and Britain were $87 million and $76 million respectively in 1973-1981, rising to $182 million and $117 million respectively in 1982-1991. Pakistan’s share of total textile imports rose from an annual average of 2.3 percent in 1973-1981 to 2.9 percent in 1982-1991 in the United States market, and from 1.8 percent to 1.9 percent in the British market. This contrasts with India’s declining textile exports to the same markets in the same period. Average annual clothing imports from Pakistan into the United States and Britain were $22 million and $11 million respectively during 1973-1981, rising to $164 million and $62 million respectively during 1982-1991. During the period, Pakistan’s market-share of clothing imports has risen from 0.2 percent to 1.0 percent in case of the United States, and from 0.3 percent to 1.9 percent in case of Britain. Again, these are small changes for the importing markets but large changes from the point of view of exporters relative to initial conditions. Other than textiles and clothing, significant movement in Pakistan’s exports to the United States and Britain is found in instruments, watches and clocks (SITC 86) to the United States, which went from an annual average of $10 million during 1973-1981 to $26 million in 1982-1991. Pakistan’s exports to Japan have been dominated by cotton yarn and fabric (SITC 65) and cotton fibres (SITC 26), both showing strong real growth. The first has gone from an annual average of $79 million in 1973-1981 to $304 million in 1982-1991, the second from $48 million to $75 million in the same time period. Other exports to Japan include fish (SITC 03), leather goods (SITC 61), and petroleum and products (SITC 33). Pakistan’s exports to Germany and France have been dominated by clothing (SITC 84) and cotton yarn and fabric (SITC 65). Average annual exports of clothing have grown from $19 million in 1973-1982 to $86 million in 1982-1991 in case of Germany, and from $8 million in 1973-1981 to $55 million in 1982-1991 in case of France. In the same periods, average annual exports of cotton yarn and fabric went up from $34 million to $66 million in case of France, and went down from $107 million to $99 million in case of Germany. Other exports from Pakistan to Germany and France have included leather goods (SITC 61), cotton fibres (SITC 26), sugar (SITC 06) and petroleum and products (SITC 33). Sri Lanka’s exports to the major industrial countries are marked by drastic decline in exports of tea (SITC 07) and rapid growth of exports of clothing (SITC 84). Sri Lankan tea exports were at an annual average of $175 million to Britain and $49 million to the United States during 1962-1971, reduced to $38 million and $24 million respectively in 1972-1981, reduced to $23 million and $16 million respectively in 1982-1991. Between 1980 and 1991, Sri Lanka’s market-share of total British tea imports fell from 11 percent in 1980 to 7 percent in 1991. Evidently this loss of market-share was not India’s gain, as India’s share of the same market fell even more drastically, from 33 percent in 1980 to 17 percent in 1991. India and Sri Lanka traditionally dominated the world market for tea. Major competitors since then have been China, Indonesia, Kenya and Malawi. Sri Lanka’s exports of clothing to the United States, Germany, Britain and France have grown very rapidly, making clothing the dominant export of Sri Lanka in the last decade. Average annual exports of clothing rose from $39 million in 1972-1981 to $361 million in 1982-1991 in case of the United States; from $10 million to $70 million in case of Germany; from $3 million to $27 million in case of Britain; from $2 million to $20 million in case of France. Although rates of value-added growth will be lower in view of Sri Lankan imports of raw materials (from India and Pakistan), clothing has clearly shown phenomenal growth relative to initial conditions. Besides tea and clothing, significant movement in Sri Lanka’s exports over the long run appears in polished diamonds (SITC 66). Sri Lankan exports amounted to annual averages of $5 million and $4 million to Japan and the United States respectively in 1962-1971; $32 million and $17 million respectively in 1972-1981; and $38 million and $32 million respectively in 1982-1991. Value-added may be considerably lower given imports of rough diamonds via Belgium and India. Like India and Pakistan, Bangladesh’s exports to the United States have been dominated by clothing (SITC 84) and textile yarn and fabric (SITC 65). As with India, textile manufactures have fallen drastically in real terms while clothing has shown enormous growth relative to initial conditions. While it is possible again that there has been value-increasing substitution from one towards the other, this appears unlikely as Bangladesh’s textile manufactures are mainly jute products. Average annual exports of textile manufactures from Bangladesh to the United States fell from $130 million in 1972-1981 to $75 million in 1982-1991, while clothing exports rose from near zero in 1972-1981 to an annual average of $249 million in 1982-1991. Unofficial (smuggled) trade across the India-Bangladesh border is reported to be high, and it is possible Indian exporters have sought to sidestep United States quotas by going through Bangladesh which does not face quotas. The remaining significant movement in Bangladesh’s exports to the United States has been in fish (SITC 03), which has risen from an annual average of $8 million in 1972-1981 to $35 million in 1982-1991. Bangladesh’s main exports to Britain have included jute fibres (SITC 26), textile manufactures (SITC 65) and fish (SITC 03). Average annual exports of jute fibres went from $19 million in 1973-1981 to $8 million in 1982-1991; textile manufactures went from $20 million in 1973-1982 to $21 million in 1982-1991; and fish went from $3 million in 1973-1981 to $18 million in 1982-1991. The remaining significant movement in Bangladesh’s exports to Britain include the appearance of transport equipment (SITC 73) as the top export at an average annual amount of $121 million in each year 1978-1980, followed by its equally sudden disappearance. And clothing exports have shown rapid growth from near zero to average annual exports of $50 million in the period 1988-1991. Bangladesh’s exports to Japan have been dominated by fish and preparations (SITC 03), with average annual exports growing rapidly from $11 million in 1973-1982 to $54 million in 1982-1991. Other exports to Japan have included textile manufactures (SITC 65), petroleum and products (SITC 33), leather goods (SITC 61) and raw jute (SITC 26). Bangladesh’s exports to Germany and France are marked by the rapid recent growth of clothing from negligible amounts to an annual average of $60 million in case of Germany and $52 million in case of France in 1987-1991. Other exports to Germany and France have included fish (SITC 03), textile manufactures (SITC 65), and leather goods (SITC 61). Some discrepancy exists in the data as India does not report any exports of petroleum to either the USA or France in these years.